the initial visit, but to also educate them on how to maintain the style until the next visit. Maintaining your style consists of you doing some work at home until you can get back to your stylist (unless you plan on sleeping cute every night!). Wrapping your hair is, in my opinion, part of hair basics 101. Aside from using great hair products, it is one of the easiest, yet most important things you can do for your hair. 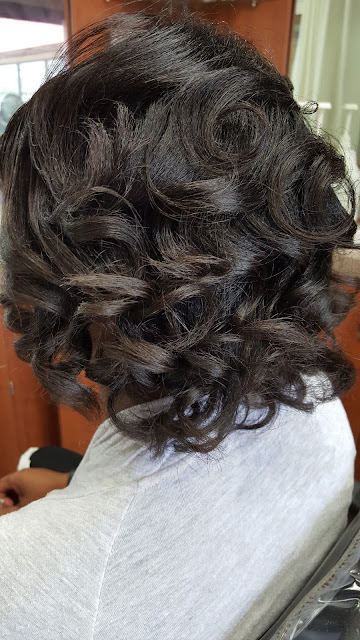 It not only helps your styles last in between your salon visits, it also helps protect your ends so that they don’t split as fast. In addition to that, it also helps your relaxers last longer as well as your straightened styles (natural girls). Wrapping your hair is basically using your head as a giant roller for your hair. As far as which direction to wrap, there is not necessarily a right or wrong direction but I normally tell people that if you wear your part on the left side, wrap going to the right (clockwise). If you wear your part on the right side of the face wrap to the left (counterclockwise). What I normally do is part my hair from ear to ear. I then comb the hair from my ears forward straight to the front. Since I wear my part on the left, I start brushing that hair to the right. I get that hair as smooth as possible, then start taking small sections of the hair in the back and smoothing it around to the front. I continue brushing until I have the hair as smooth as possible. Getting all of the hair smooth ensures that your wrap won’t be frizzy when you unwrap it. Then I take my mesh wrap cap (cap with holes in it that has velcro fastening and leaves the head open in the top) and put that on as tight as possible. 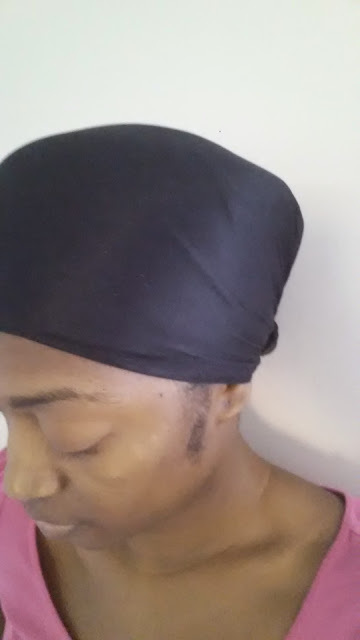 Then I take my satin wrap cap (same as mesh, only satin with no holes) and wrap that around on top of the mesh cap. I then take my satin scarf (covers the entire head) and tie that around the previous two. Now I can sleep comfortably all night and not worry about waking up in the morning and the scarf is hanging off my head. If you are a more visual person and would like to see exactly how I do this, check out the video below on ToyaJTV. 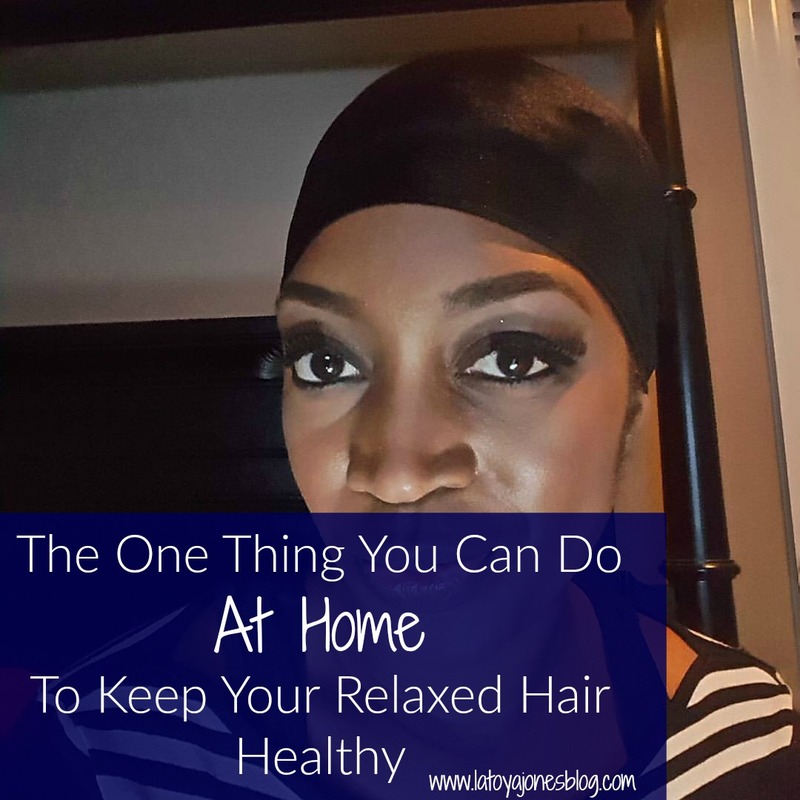 Remember, get in the habit of wrapping your hair EVERY night! Your hair will thank you for it!